Last year, a Gartner study forecast that there would be 20 billion IoT devices in use by 2020. The report noted 1.2 billion would be for industrial uses. Enterprise infrastructures will need to integrate legacy systems with the new devices and possibly expand the capacity of their networks. The merged solution will require occasional maintenance as firmware and software is updated. Both situations, initial integration and then device management, may involve working with a knowledgeable partner. Your IoT infrastructure is critical to keeping communications open between assets and systems control or headquarters. Any hiccup could cause major issues so the devices must be tailored to fit your specific functionality. A partner will be able to handle customizing programming of the hardware and any software to keep your system online. They work with your team to develop the right scripts and APIs to ensure the right data is being transmitted for actionable insights as well as edge computing. CalAmp has recently launched Professional Services after seeing a need for the support of its devices and software. The team has proprietary vertical knowledge of hardware manufacturing and software programming, as well as experience in many industries ranging from energy to utilities to fleets. 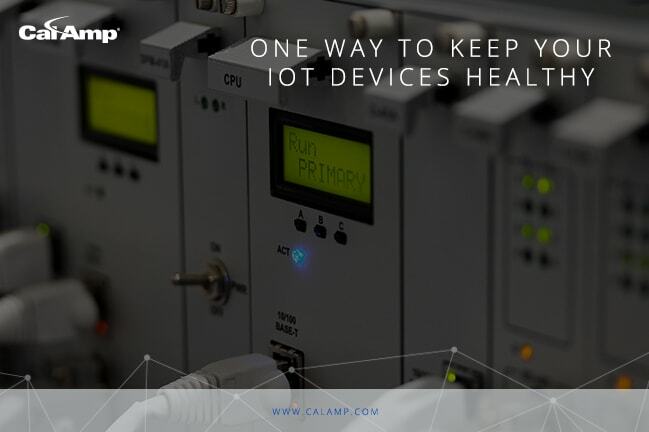 If you would like more information on CalAmp’s Device Enhancement Services and other professional support, please visit our page here or email us at services@calamp.com.